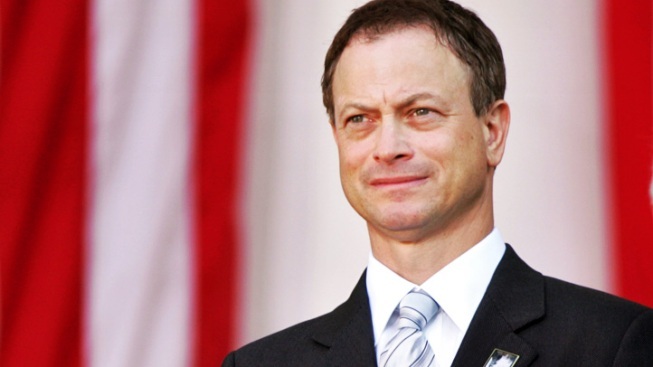 Before his fellow Americans hit the Memorial Day barbeques, Gary Sinise is inviting them to join him in celebrating the men and women who serve the nation with a patriotic party. The actor rose to fame as the disabled Vietnam veteran Lt. Dan Taylor in “Forrest Gump,” an onscreen role helped lead him to become deeply involved off-screen with military veterans and active personnel over the years. For the past seven years one of the more rewarding offshoots of that involvement is Sinise’s annual gig co-hosting the National Memorial Day Concert live from the West Lawn of the U.S. Capitol in Washington, D.C., airing simultaneously Sunday May 27 on PBS and the Armed Forces Network. Sinise joins longtime co-host Joe Mantegna to present a spectacular lineup of talent to pay tribute to the troops, including Colin Powell, Daughtry, Natalie Cole, Trace Atkins, Ellen Burstyn, Dennis Franz, tenor Russell Watson and “American Idol” runner up Jessica Sanchez. What has being involved with National Memorial Day Concert has meant to you over the years? Well, each year I go, I kind of pinch myself. Joe Mantegna, my co-host – I'm privileged to be partnered with Joe – we look at each other each year and go, 'Holy cow – Look where we are!' and we can't believe it. Every year is just very special because of the hundreds of thousands of people that come out to sit on the lawn in front of the Capitol and watch the concert. But also the level of performers, the quality of the performers that come to participate in celebrating men and women who have served and sacrificed and defended our freedom. It's a very special way to support and celebrate those who have served and to honor those on Memorial Day. It's just a privilege, once again, to be a part of it. It's become increasingly important to keep the U.S. troops at the forefront of our minds. Have you seen that spill over into the amount of people who show up for the concert and the level of involvement that people are having with it? I think we get something between 200,000 and 300,000 people out on the lawn of the Capitol. It's one of PBS's top rated shows. Millions of people watch the show on television each year. It's the night before the actual Memorial Day. Memorial Day is on Monday and that's usually a day of barbecues and backyard parties and that kind of thing, but I think if you tune in to the National Memorial Day Concert you're just reminded of what that day means, why it's important and what it's for. We set aside this special day to honor those who we've lost in defense of our nation and friends, and we can't forget that... We've asked a lot of them in the last 10 years. They've been deployed multiple times and their families have sacrificed over and over again. Whether they're on the front page or not, we have to make sure that we stand behind them and support them when we can. I always encourage people in their communities, if you know a family who's got a deployed service member or a wounded warrior – somebody who sacrificed in service – just pat them on the back and see if there's something that you can do for them. 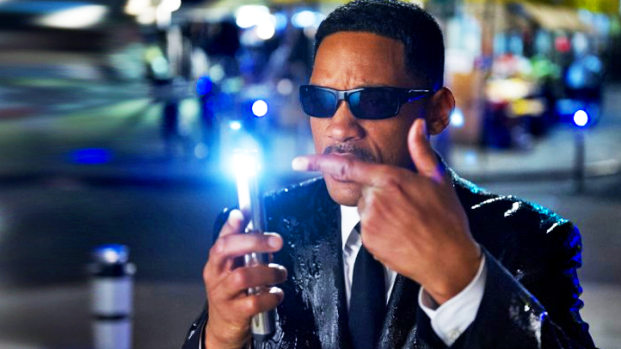 Will Smith on How They Made "Men in Black 3"
"Men in Black 3" stars Will Smith and Josh Brolin dish on what was fun about working on set with Tommy Lee Jones and Smith reveals what the "whole of the success of the movie" was riding on. In theaters May 25. And the real catalyst to your involvement in the concert goes back to your 'Forrest Gump' role as Lt. Dan, right? I think it goes back further than that. I have Vietnam veterans in my family. I got very, very actively involved with Vietnam veterans, their kind of issues and causes in the Chicago area back in the early '80's and then of course in the '90's I played a Vietnam veteran in 'Gump' and got involved with our disabled veterans. I played a disabled veteran and was introduced to the Disabled American Veterans organization, and then we deployed to Iraq and Afghanistan I just couldn't sit around and do nothing. I had a lot of pain and hurt and fear and all those things that we were all going through after we were attacked on September 11th, and I just needed to channel that energy, and that came into something positive. We had young men and women, who were signing up and deploying to Iraq or Afghanistan, difficult places around the world and they needed help. They needed to know that they were supported and appreciated,... the nation just basically turned its back on our Vietnam veterans – I just wanted to make sure that I did my part to make sure that today's active duty service members, that that wasn't going to happen to them. Have you had a particularly special or moving encounter with military personnel or veterans recently, someone who told you a story that's hit you in a special place? And bringing it back to the concert itself, have you ever had a specific moment of chills that always stands out in your mind? In the early concerts, when I started, Charles Durning was a part of the concert, and Charlie recalled some of his moments during World War II and doing some of the segments about Iwo Jima. Charlie wasn't at Iwo Jima – he was in the European theater, but I remember him doing one segment about our Marines hitting the island. It was some harrowing stuff, because you knew that Charlie was talking about things that he had seen as well, and the year before he did an entire piece recalling hitting the beach in Normandy. Here's Charlie: he's an actor. He came back. He's a part of my community, the acting community, but he's also a great national World War II hero who saw a lot of devastating and very horrific things in his life. I'll never forget some of that. Each year there are some very special tributes and very special segments. This year we're going to have another fantastic concert. The National Memorial Day Concert airs Sunday, May 27 at 8 p.m. ET on PBS.